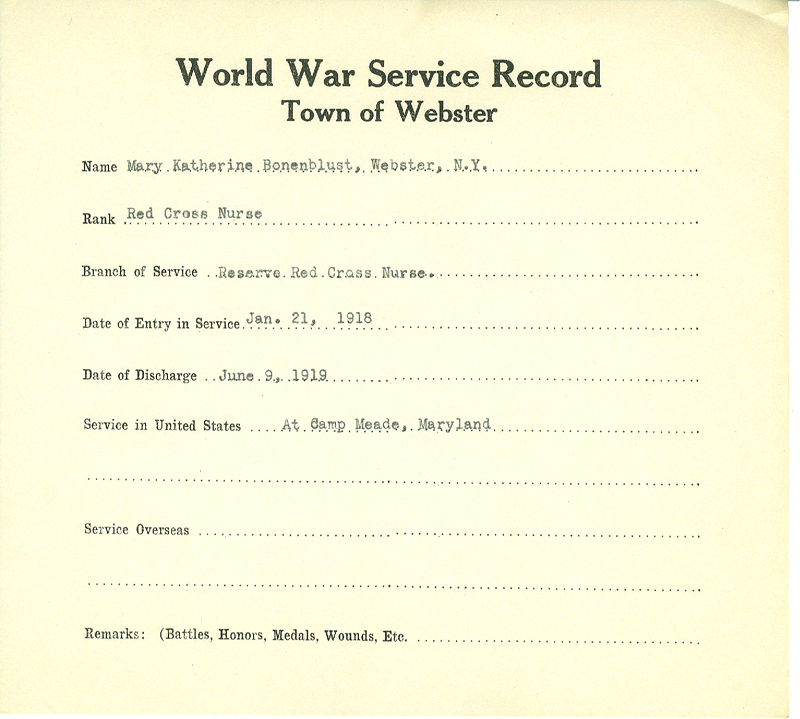 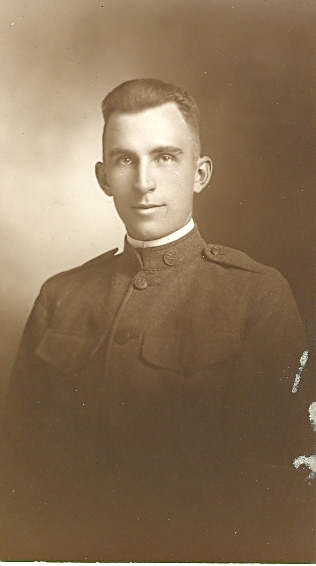 Webster residents service during the first world war. 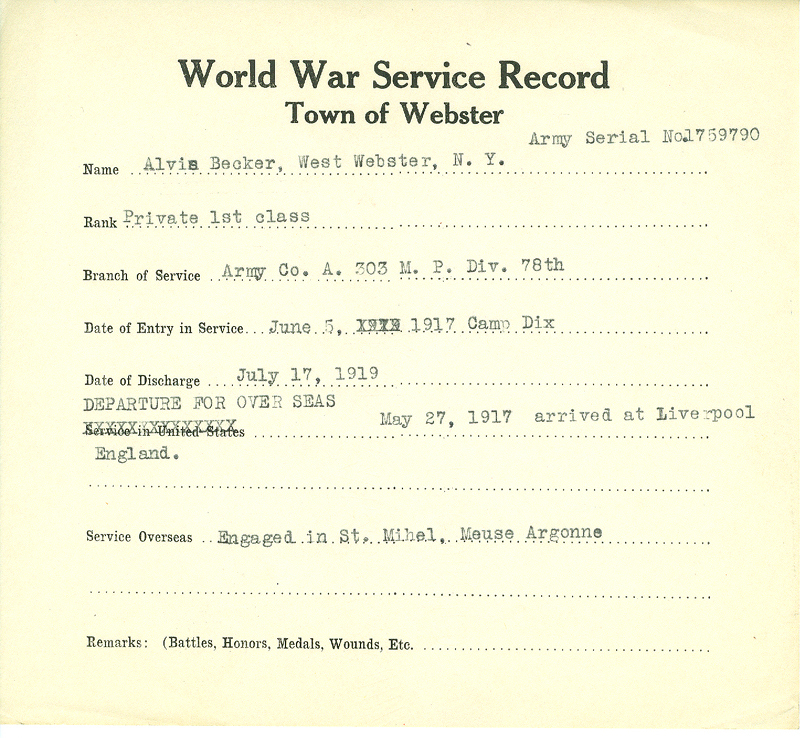 My name is Ilya Boehly and I am a boy scout in Troop 113, in Webster NY. 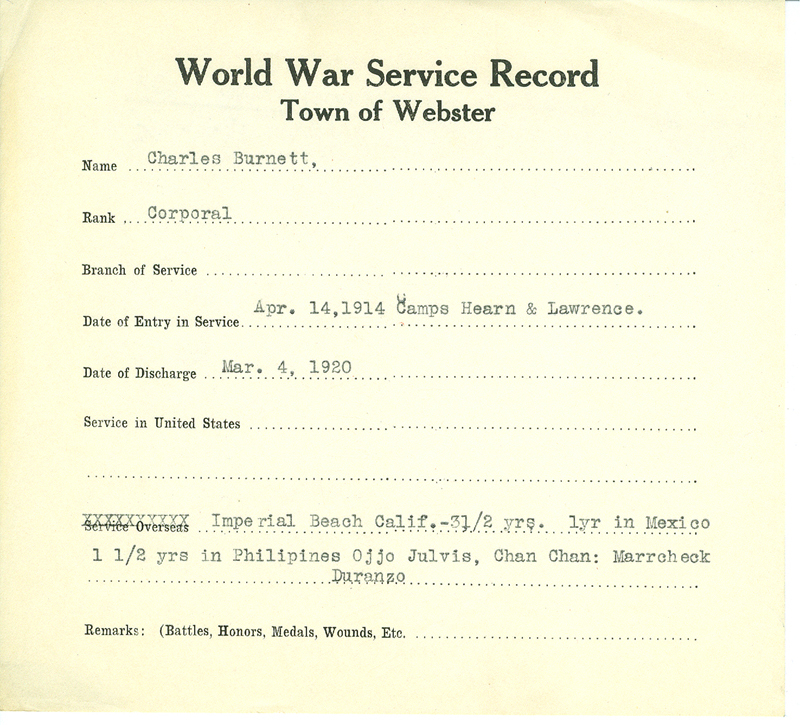 The information in this website is a result of my eagle project. 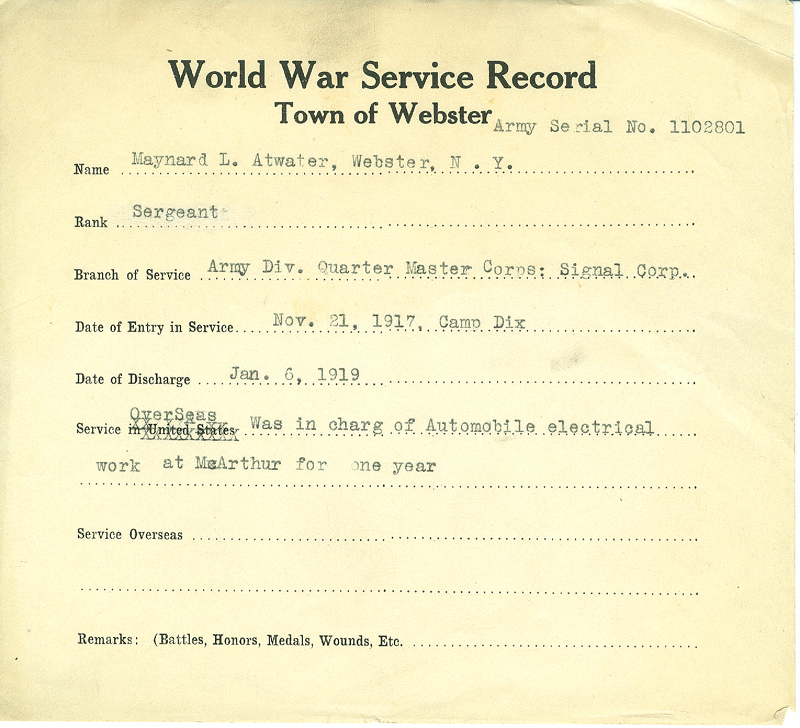 It all started because I am highly interested in history and wanted my eagle project to be related to history. 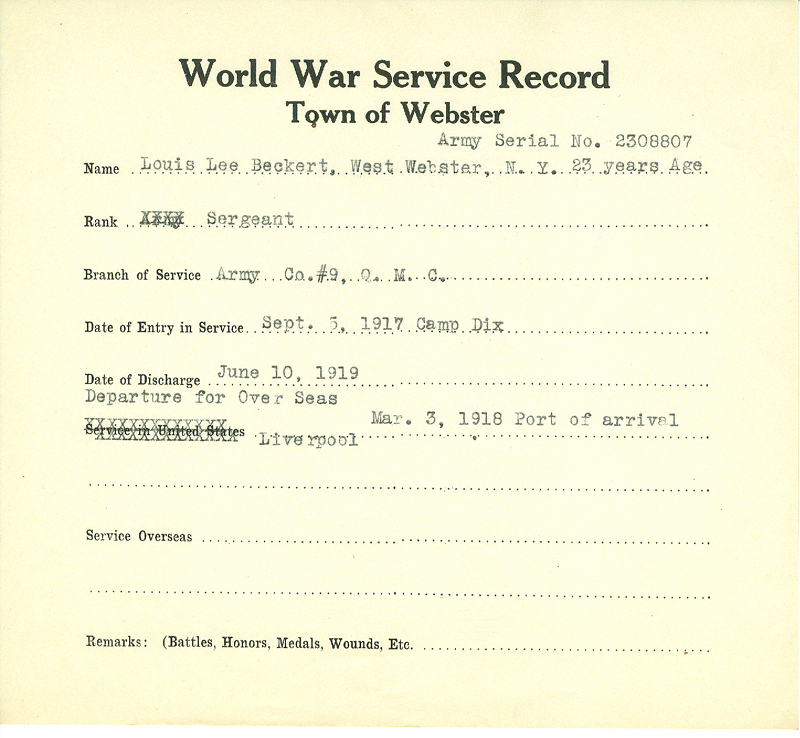 I called Ms. Lynn Barton, the Webster Historian, to see if I could find a project that would involve history and help the town. 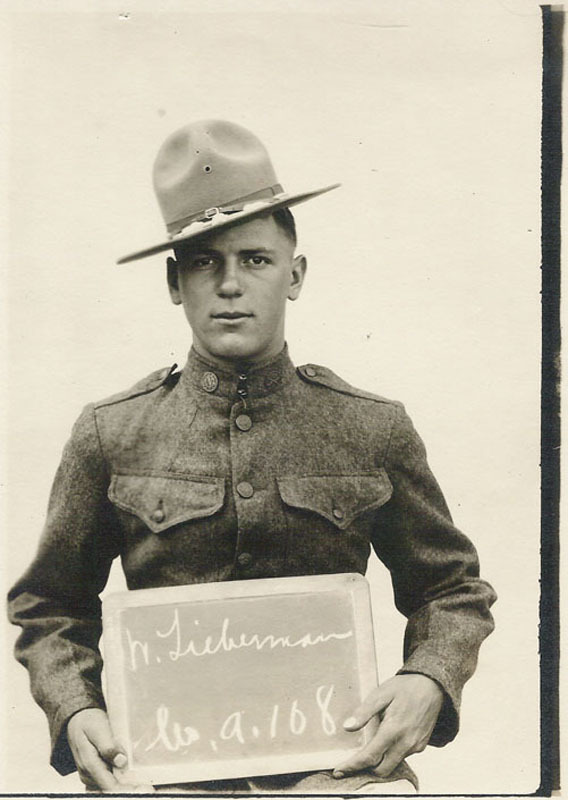 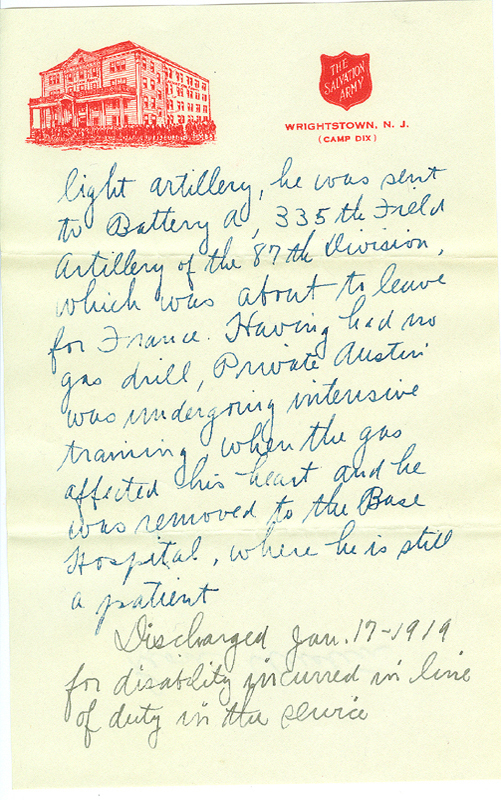 We found a box full of pictures and letters from “The Great War”; I got really excited to be able to work with this historical data. 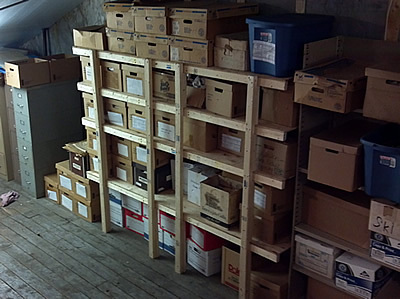 Before we started, we needed to have a place to work so I moved some old shelves, cleaned the attic. 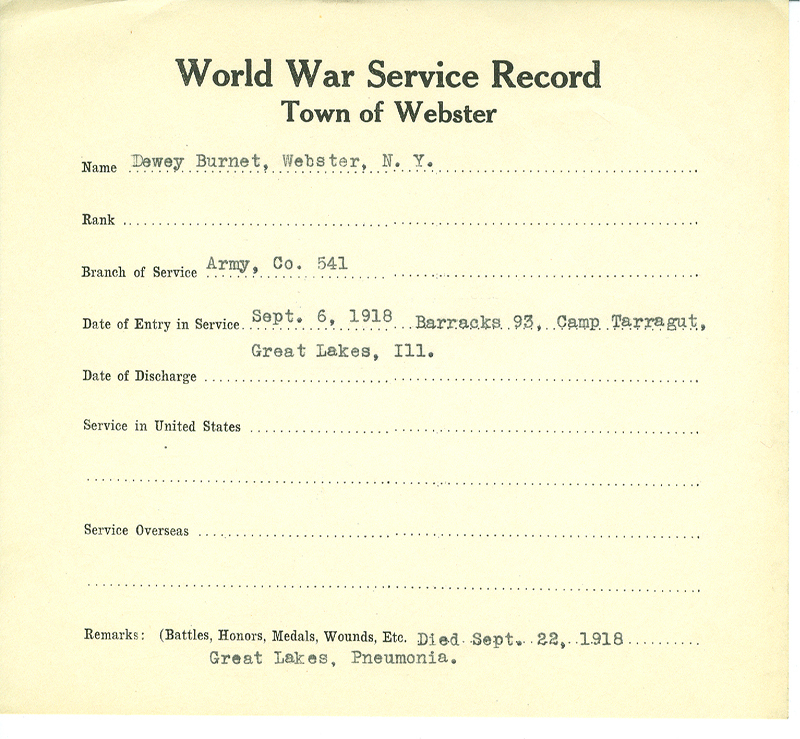 We build an 8’ wide by 6’ feet high shelf to hold the boxes from the floor and also built a large table to work on and to give the Historical Society a place to work. 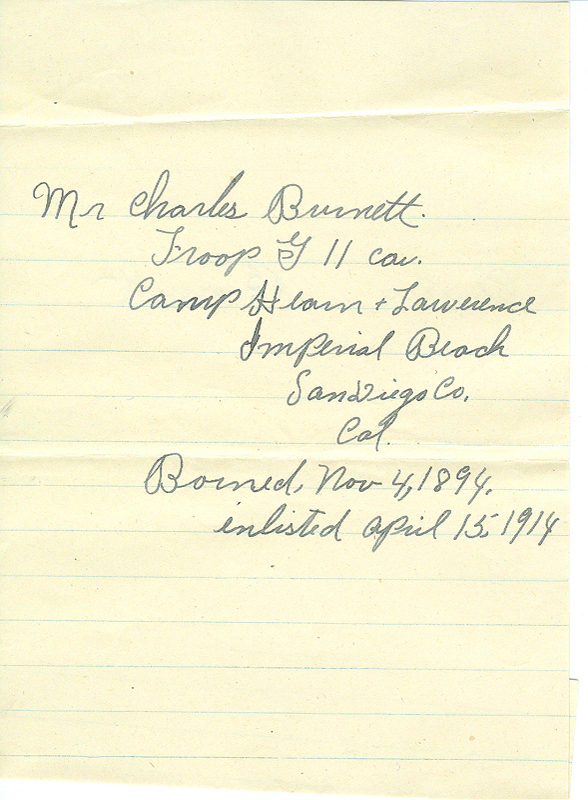 I organized the troop to help me scan the letters and photos for archiving. 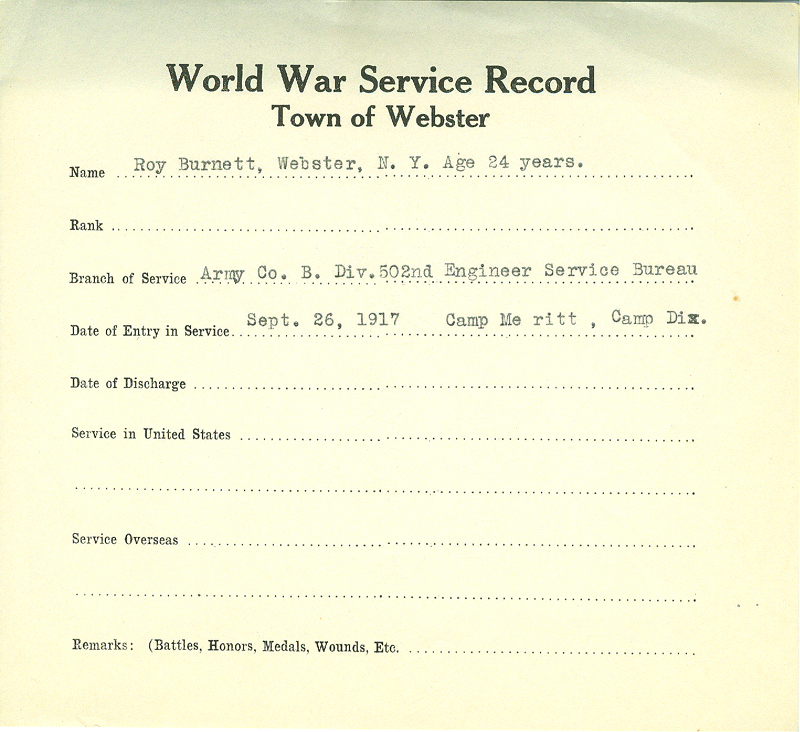 We started to gather the information into spread sheets and came up to about 200 names and all their information. 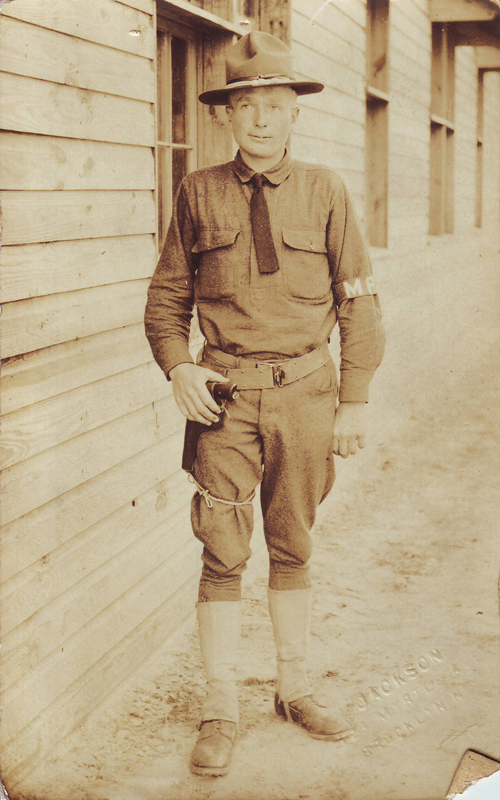 I would like to thank Ms. Lynn Barton and Mr. Philip Marr, for all the time and service toward my project and thanks to all the families and scouts of Troop 113 for all your time. 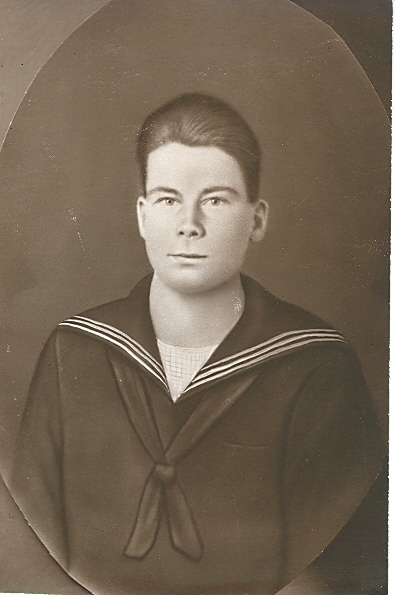 The last thanks to my father and the rest of my family for supporting me all the way through this. 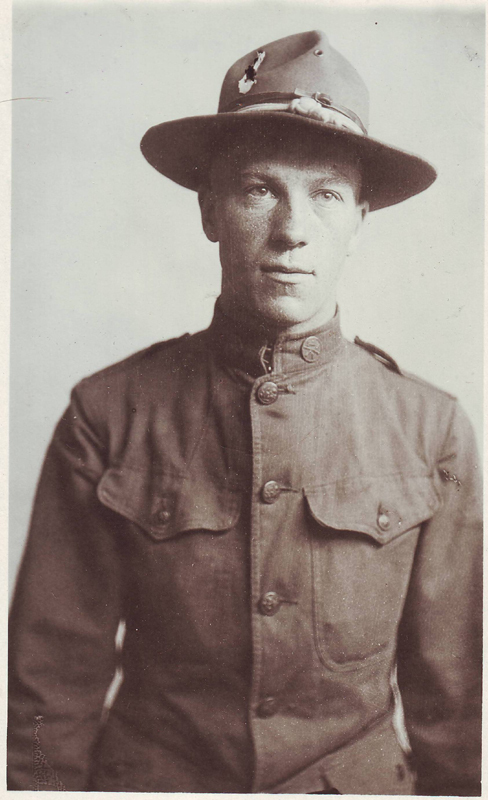 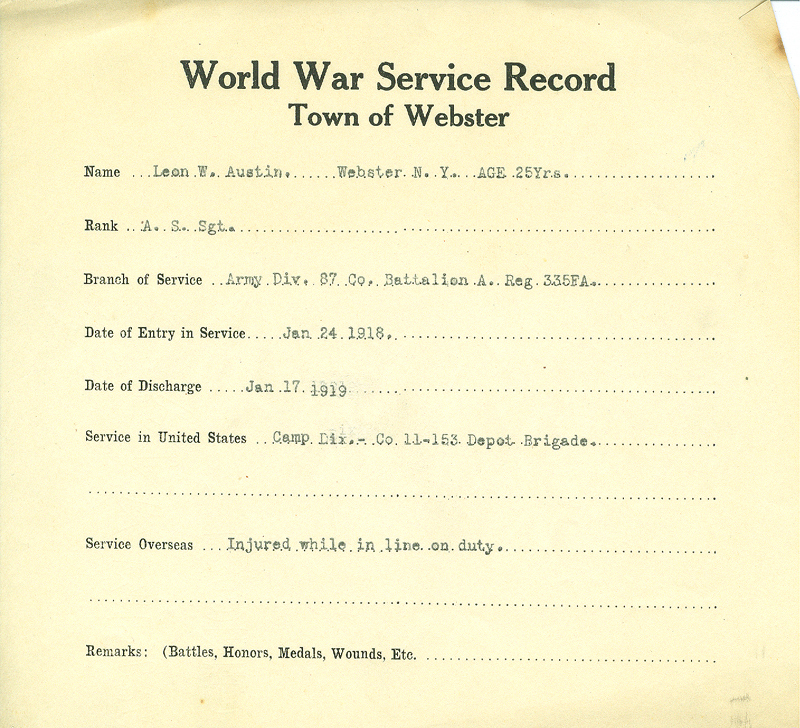 During and after "The Great War", the Webster newspaper and the American Legion (Cottreall-Warner Post 942) documented the service histories of Webster residents. 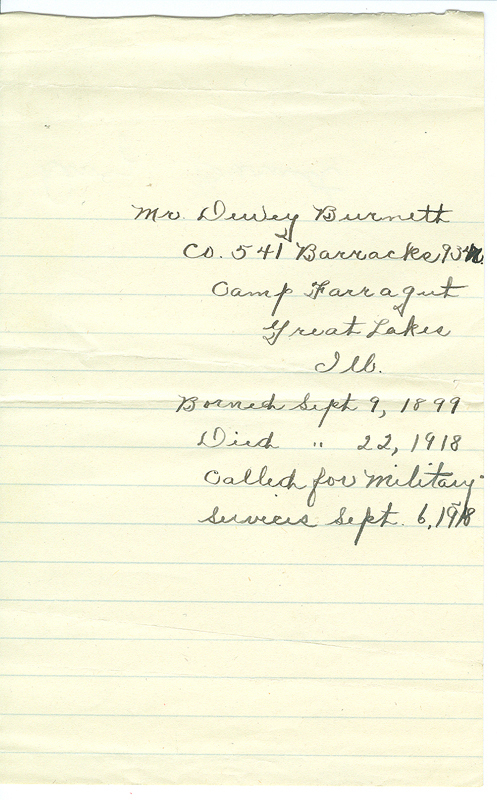 Webster veterans and their families wrote letters describing their enlistment and duty information. 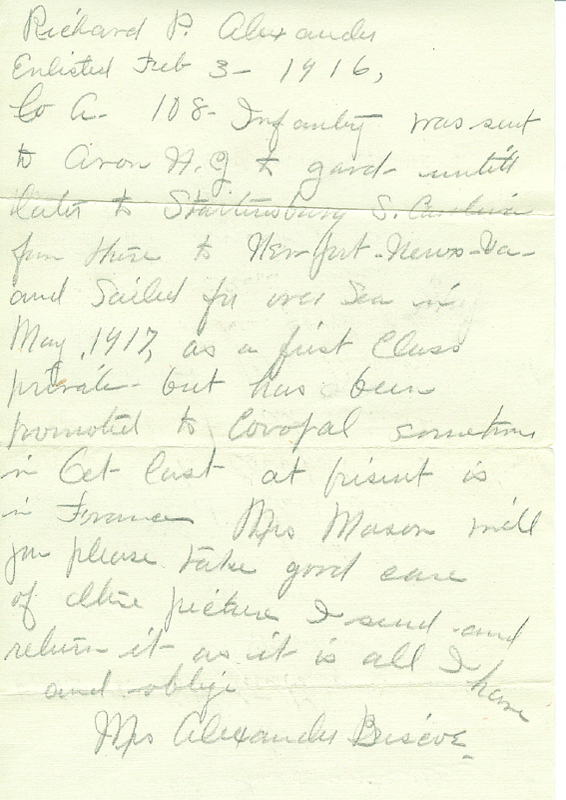 The letters are hand written and vary in length from small scraps of paper to multiple pages. 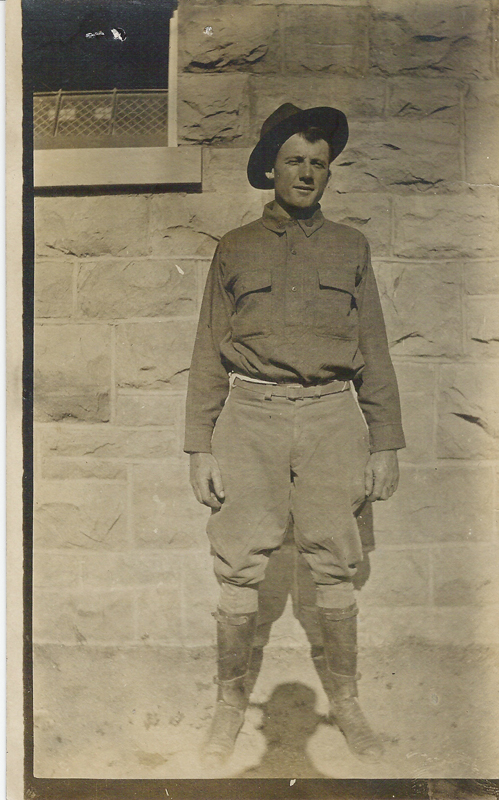 Photos of some veterans were also included. 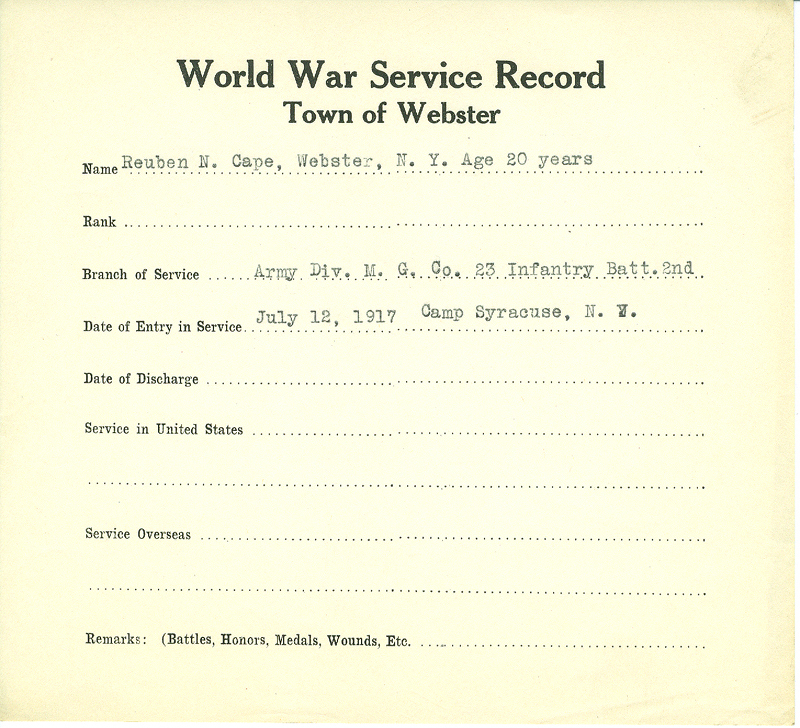 After the war this information was compiled into service records by the town of Webster and the American legion. 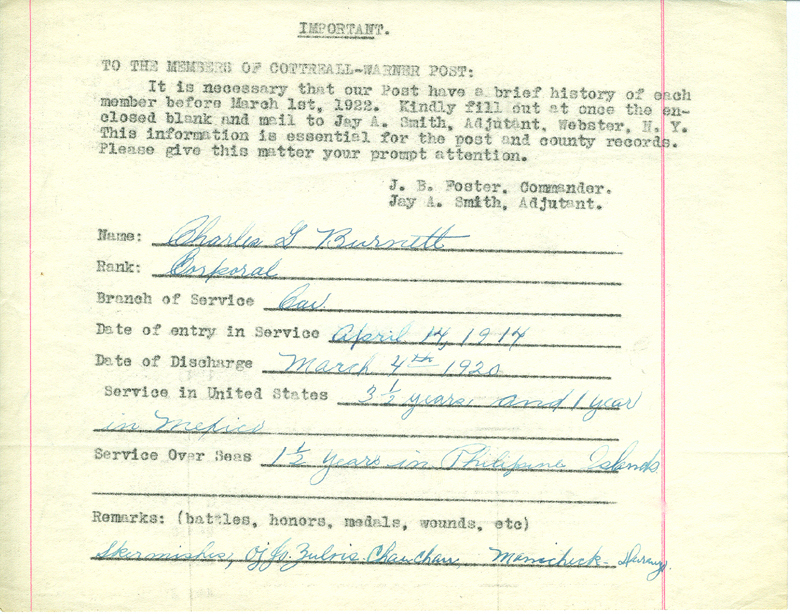 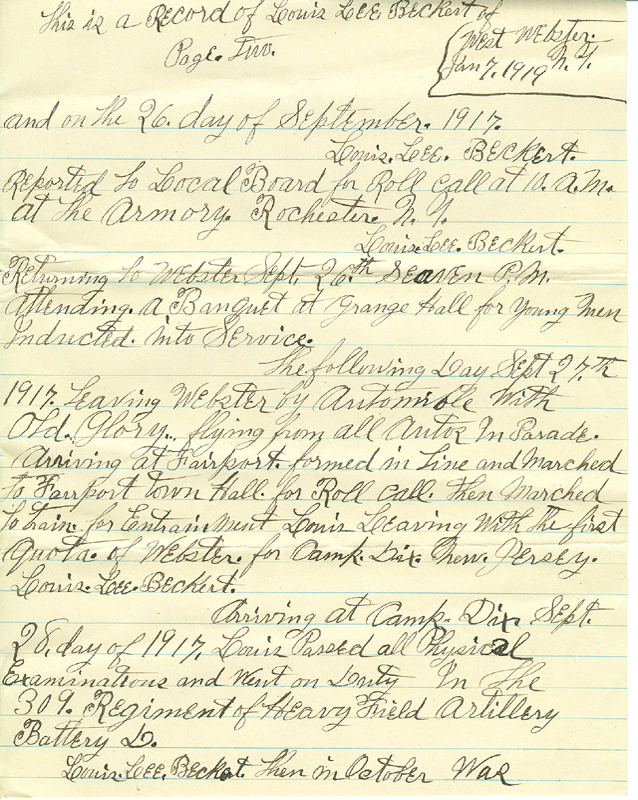 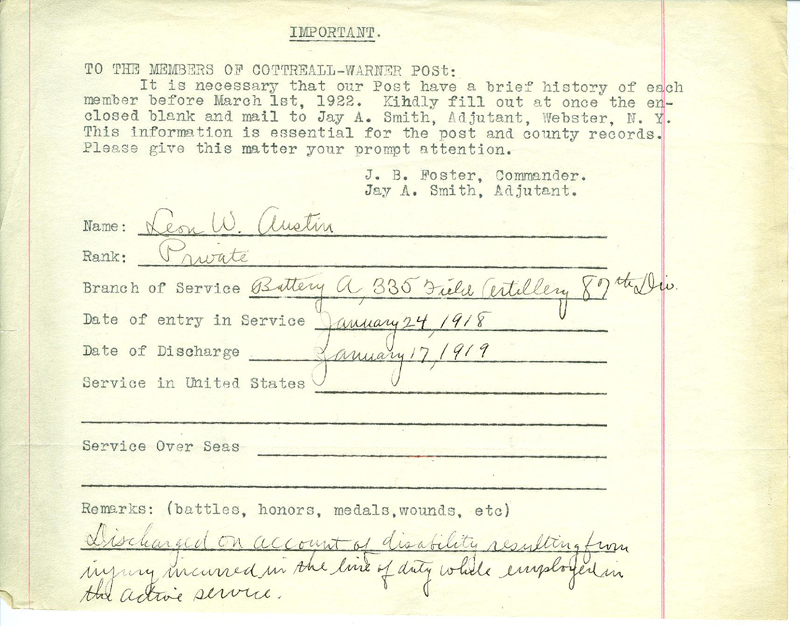 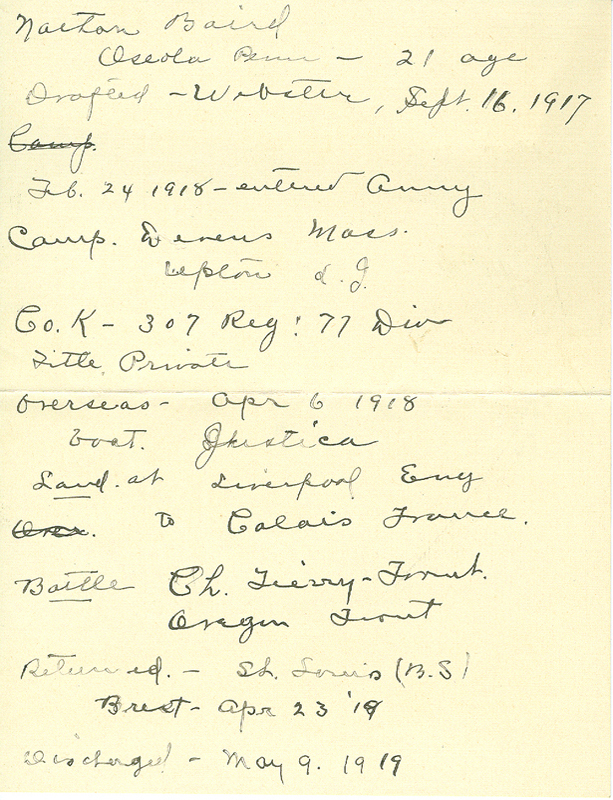 In 1928 a 12-page list was produced from those service records. 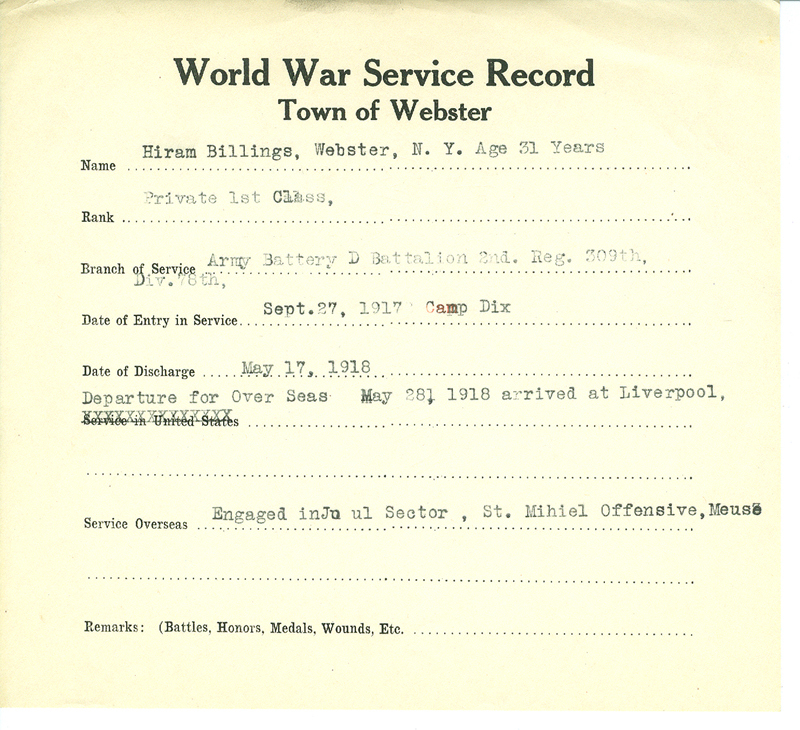 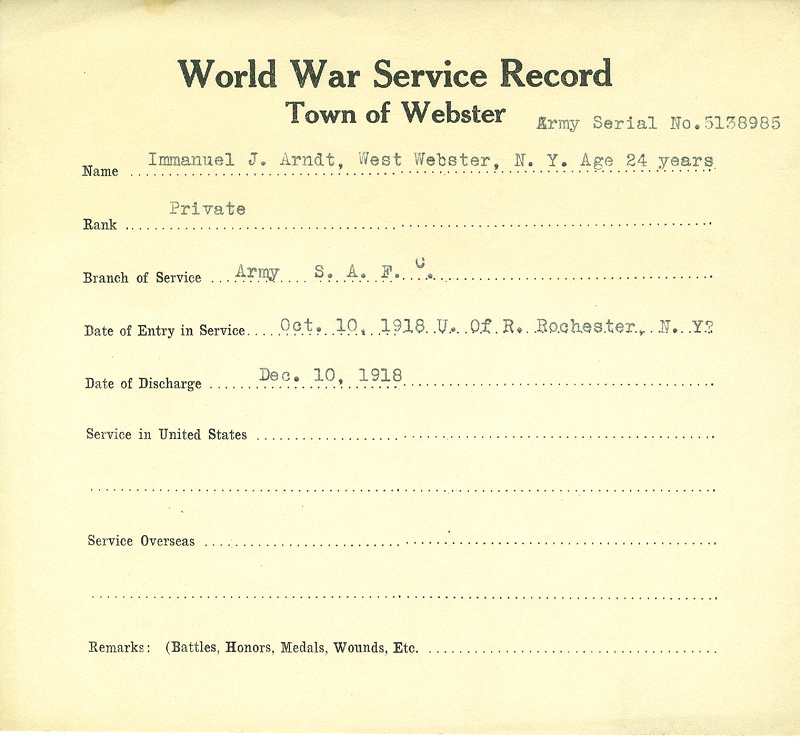 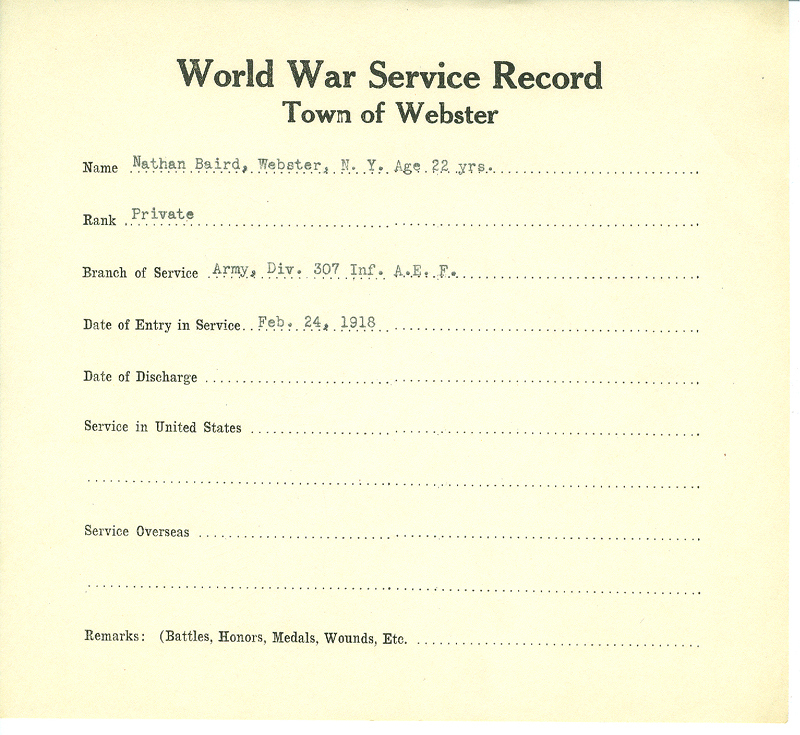 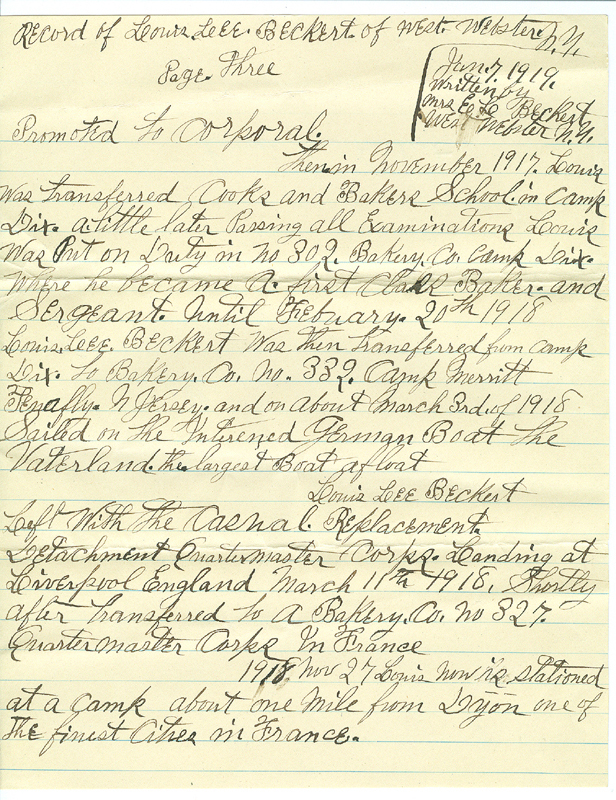 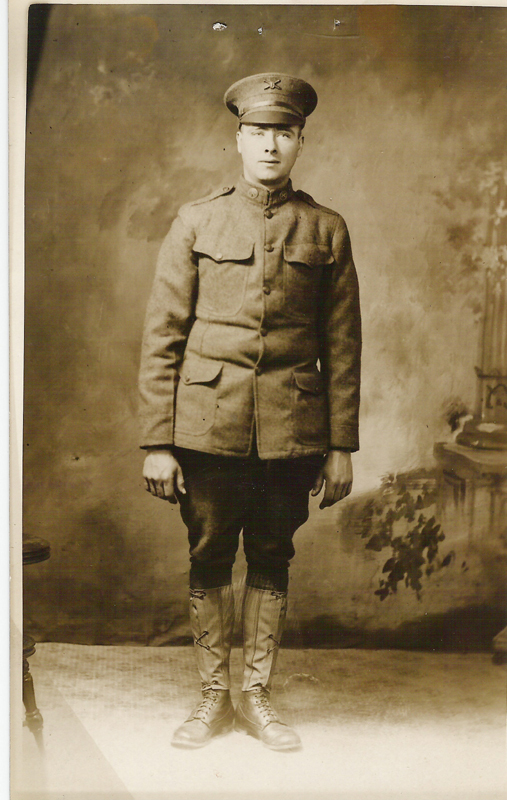 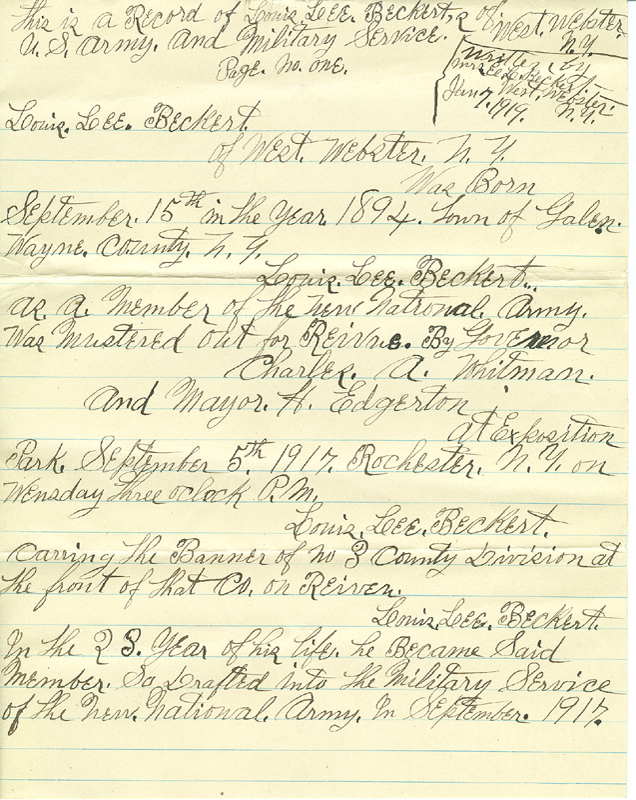 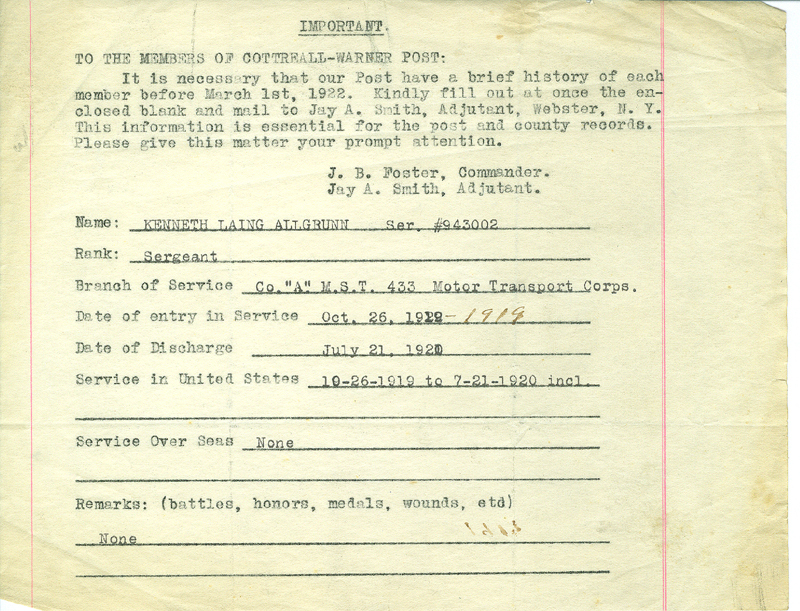 A database containing 200 names of Webster residents that served in the war. 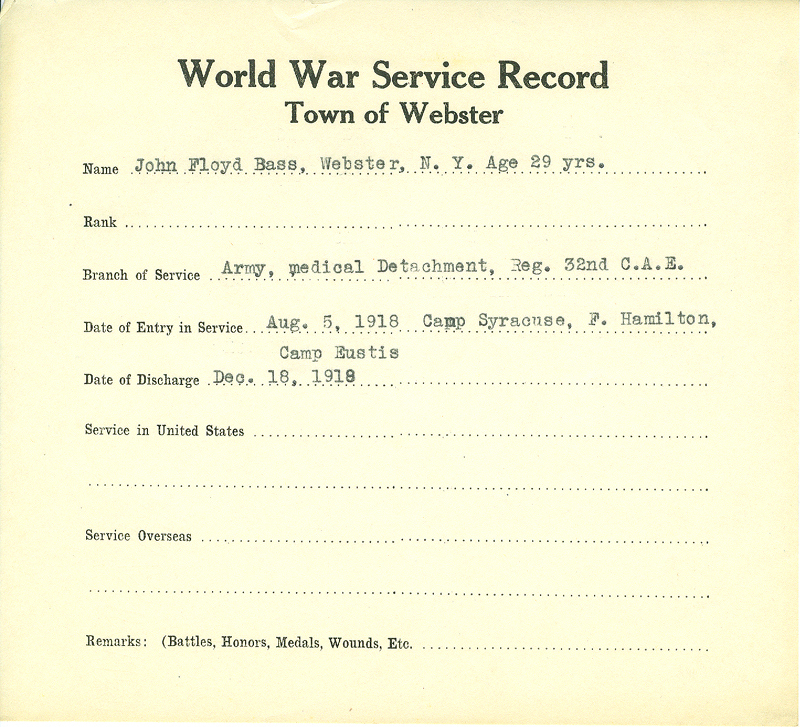 The information for each veteran varies depending upon availability. 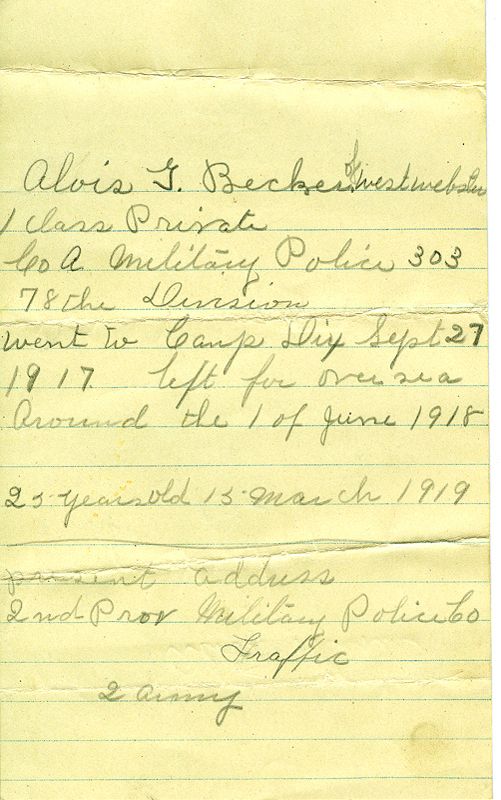 Grave site information was obtained from the websites of the local cemeteries. 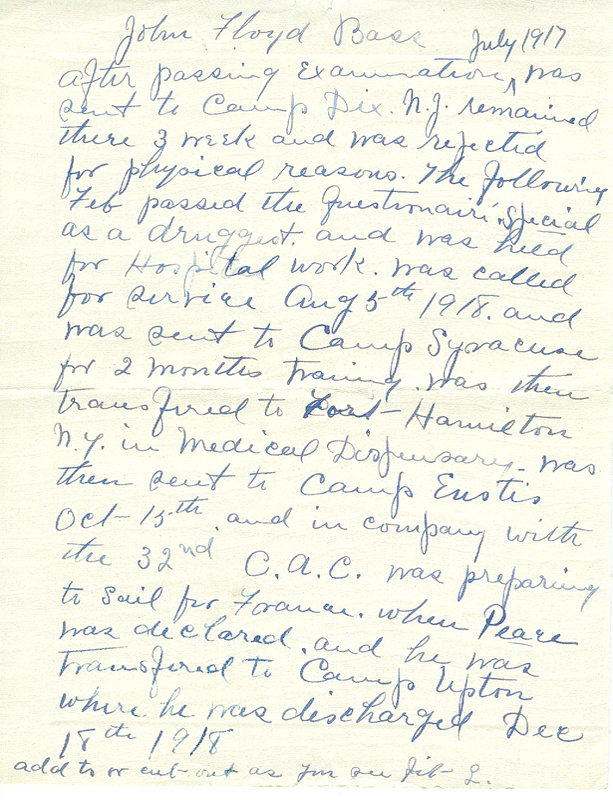 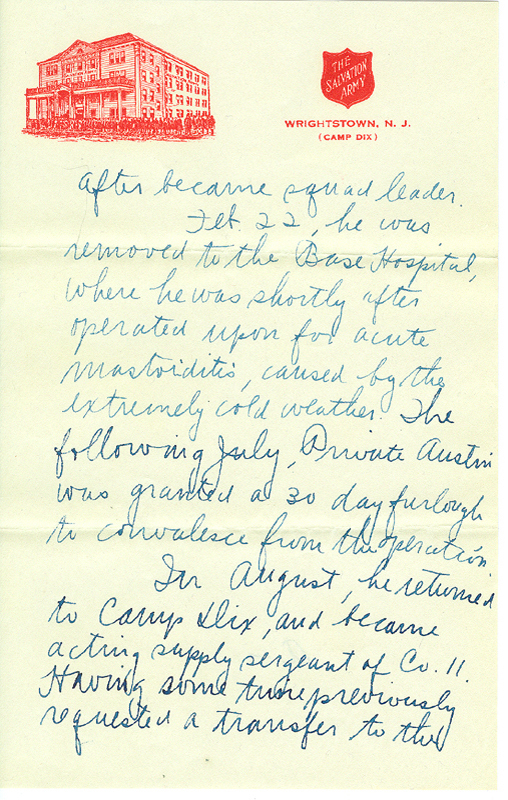 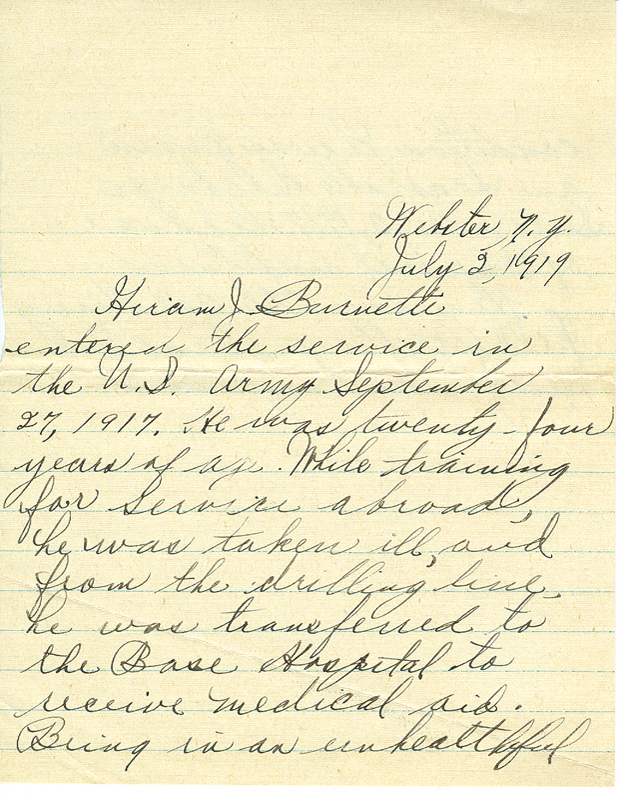 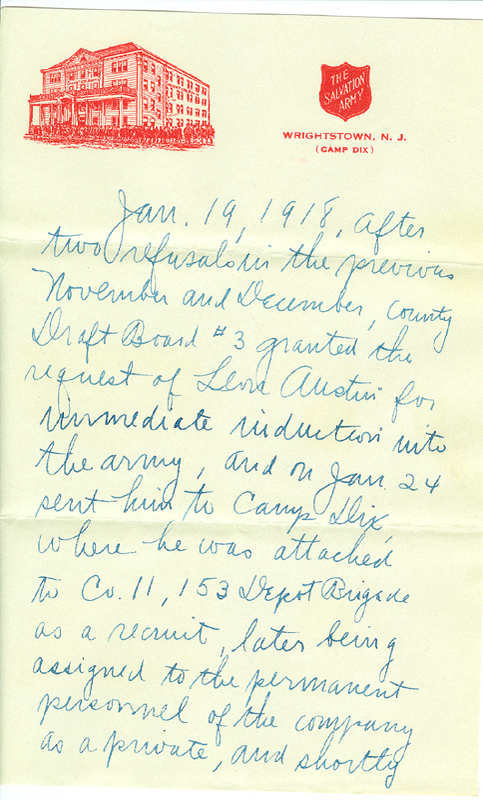 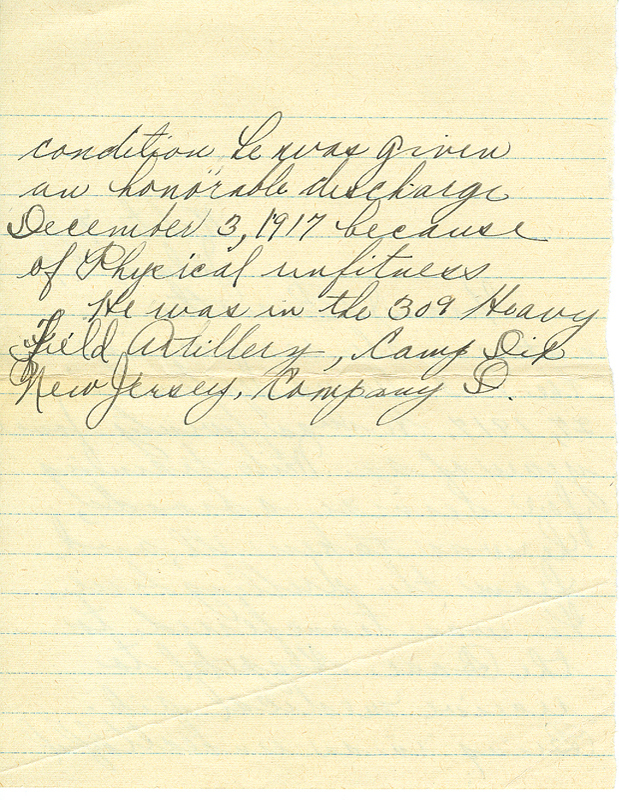 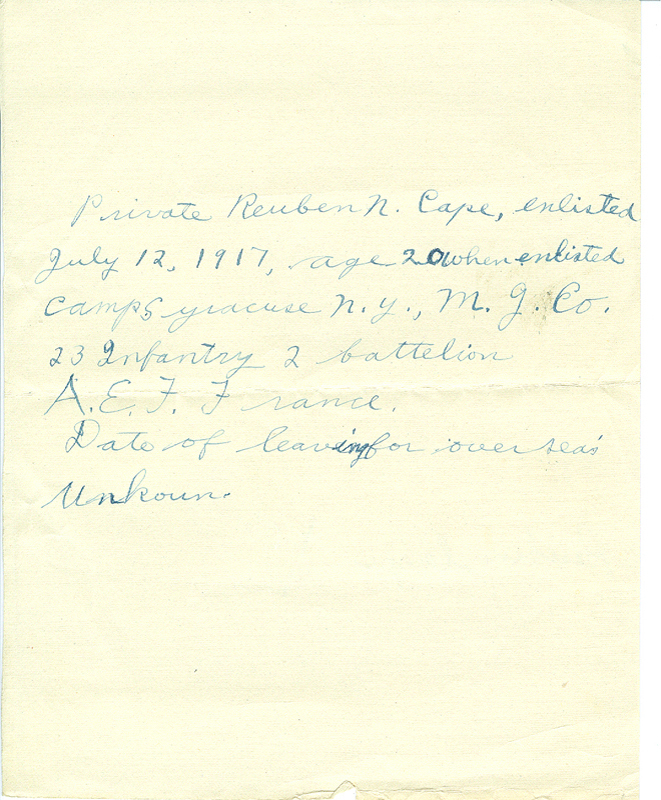 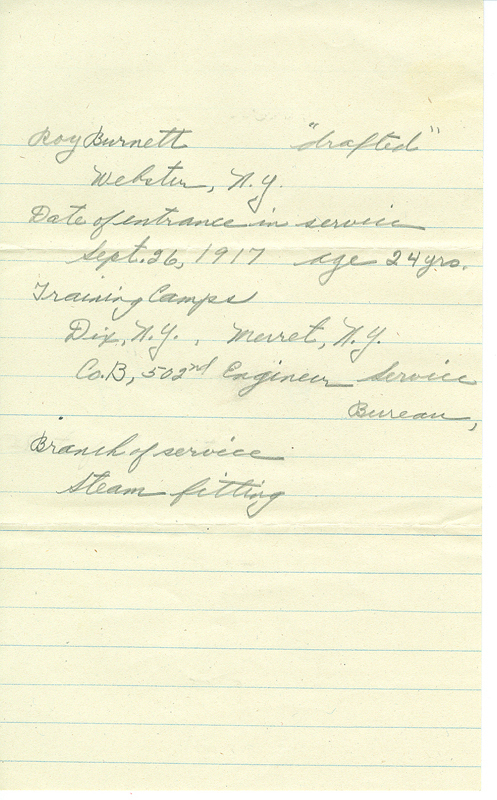 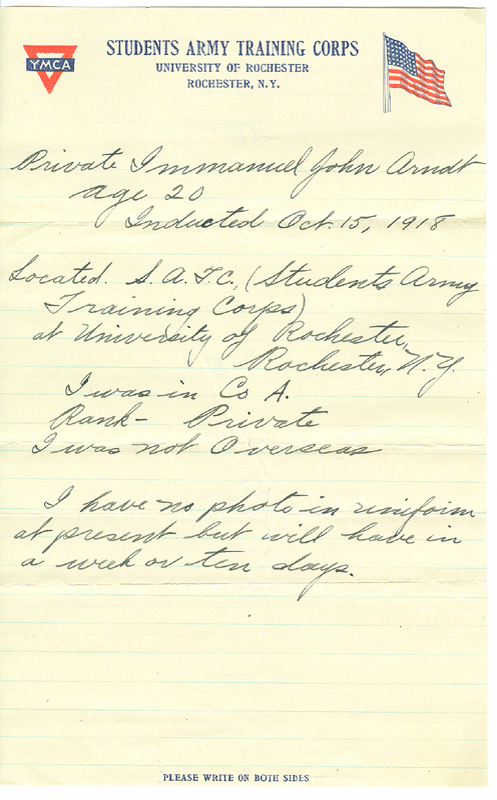 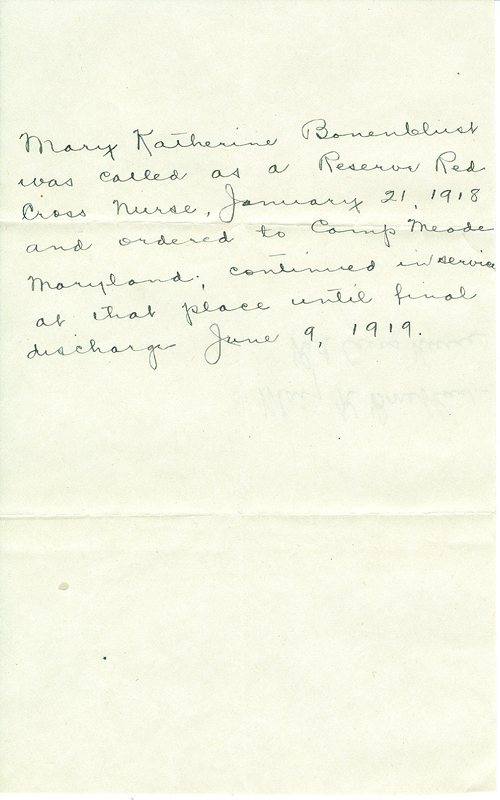 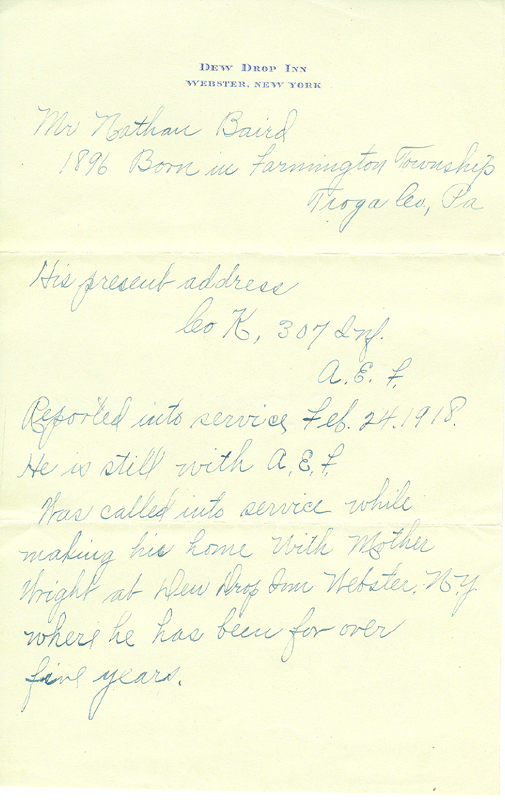 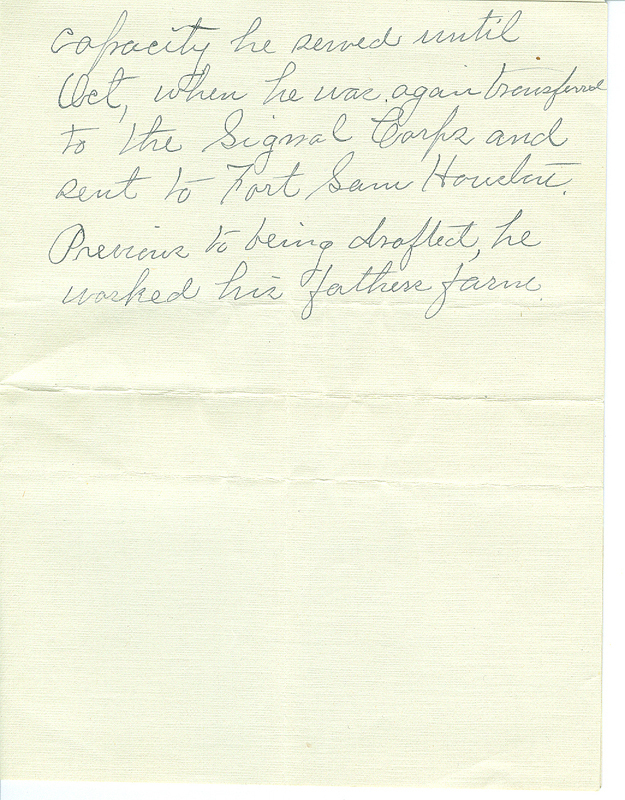 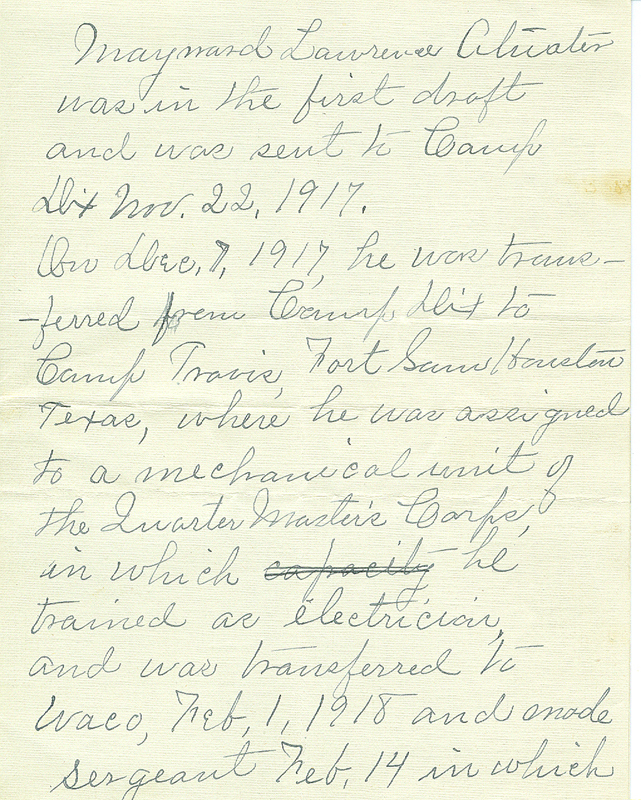 Handwritten letters describing service history. 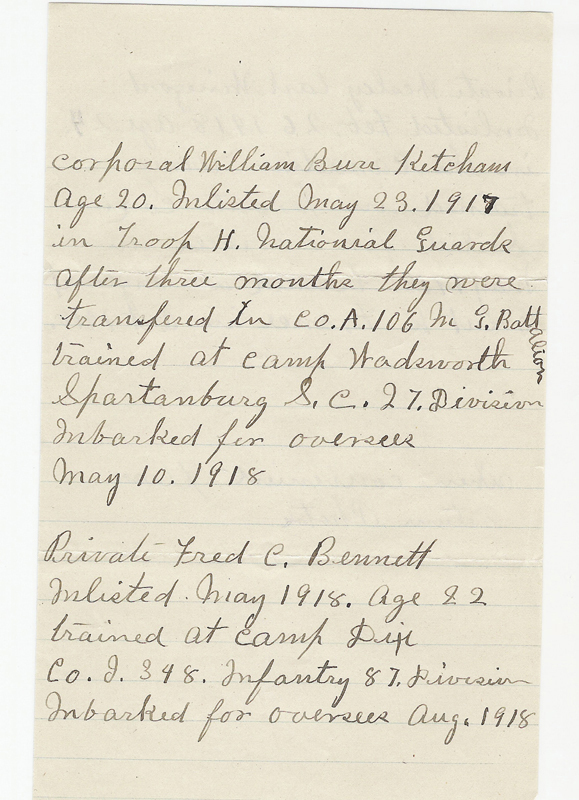 Below and in the following pages are the records of individual soldiers. 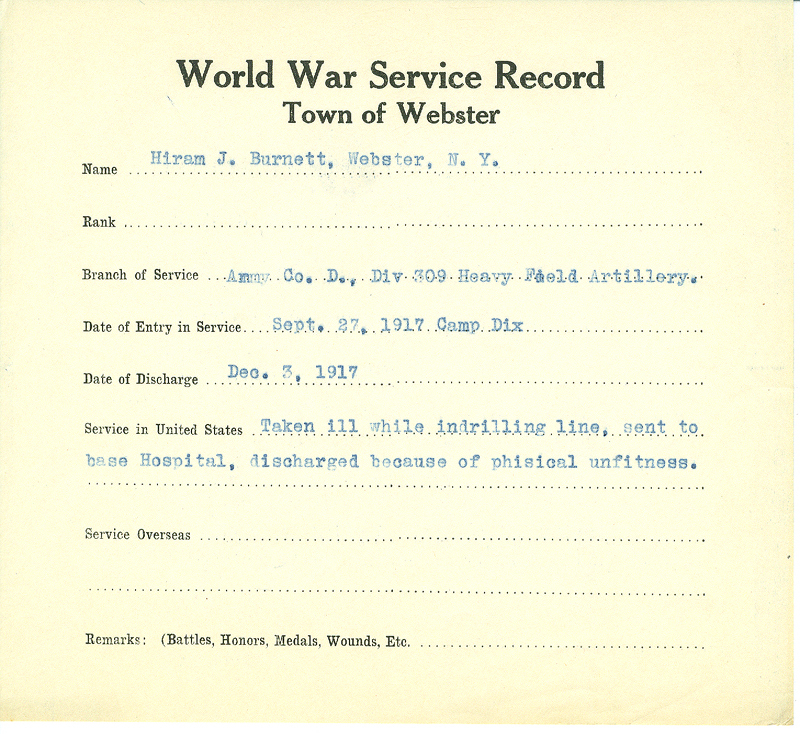 Higher resolution versions of the electronic scans are available at the Webster Historical Society.